The new shipment of Marrying Mr. Darcy has arrived, and is making its way to local game shops around the country. Thanks so much for your patience! It is a truth universally acknowledged, that lovers of Pride and Prejudice want to marry Mr. Darcy. Marrying Mr. Darcy is a strategy card game where players are one of the female characters from Jane Austen’s novel Pride and Prejudice. Players work to improve themselves and attract the attention of the available Suitors. The ladies do this by attending Events and improving their Characters, but advantage can be gained by the use of Cunning. All of their efforts are in hopes of marrying well and becoming the most satisfied character at the end of the game! 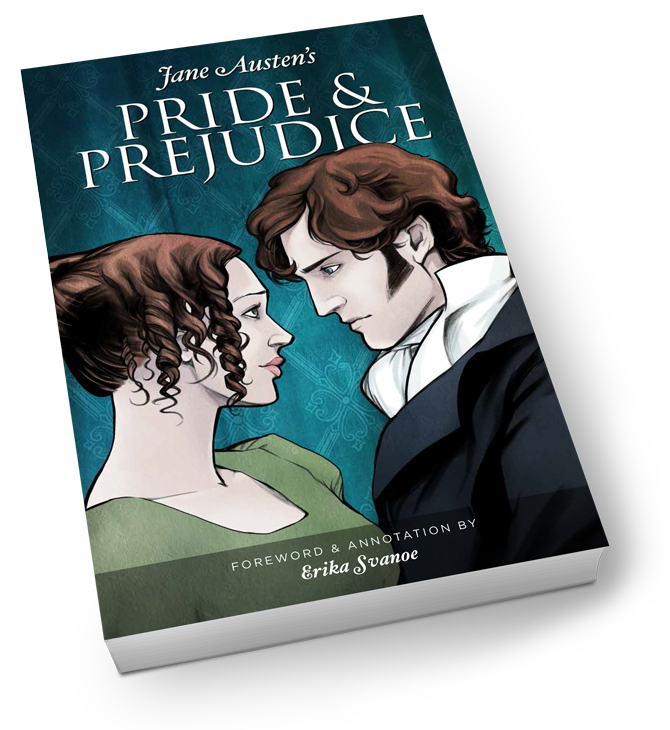 The Marrying Mr. Darcy edition of Pride and Prejudice, featuring the original text by Jane Austen, with introduction and annotation by game designer Erika Svanoe and cover art by game artist Erik Evensen. Marrying Mr. Darcy is the first game designed by Erika Svanoe, conductor, musician, and lover of all things Austen. Art and graphic design are provided by award winning illustrator and graphic novelist, Erik Evensen. If you want to be informed about expansion release dates and other major announcements, fill out our CONTACT form and we will stay in touch.